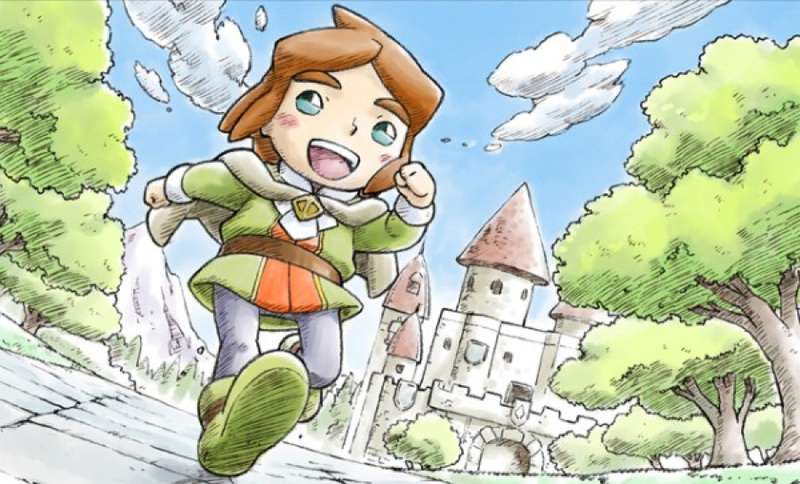 PoPoLoCrois Harvest Moon launches in Japan soon, and brings together two very famous names in the world of Japanese role-playing adventures. Of the two, Harvest Moon is arguably the most well-known - this farming RPG has been a staple of the games industry since the days of the SNES. PoPoLoCrois is perhaps less famous here in the West, as only a single game in the series has received a Western localisation. If you're wondering how that image relates to PoPoLoCrois, check out the image below. The eyes are exactly the same. Is this a title you're looking forward to playing? Share your thoughts below. Considering that PoPoLoCrois appears to be a SRPG, I'll get this game...somehow. Meh........another unoriginal thingy with politely drawn dot eyes, without pupils, Oh look they have blue eyes and blonde and orange hair. I guess those westerners will go crazy over it. Even the ones who would not bite anything from the easterns. That is nice another "hey lets look that imaginary lifestyle of the Europeans". Blah blah blah and an blah blah blah blah.. This is why I love things from the 1990's going backwards. Because it is not just the same old, same old. Yeah put on some happy music make the characters extra non-unique. I like the look of it. Tbh, though, I'm excited to see anything for the 3ds. Pretty excited if this is coming to the west, more Harvest Moon is never a bad thing! I'd rather have Fantasy Life 2, but since that's going mobile, maybe this will fill its spot on my shelf. I've never been able to get into the Rune Factory games (I tried one on the DS), but I like this game's lighter style and tone, so hopefully it will be different. @Great_Gonzalez We usually have to wait longer, but it's rare these days we have to miss out on something completely, that is released in the US. It probably will be an eShop-only release here, but I'm confident we'll get it. Come on now, this post was not actually an official announcement. It's speculative and based on a ridiculous tweet by an XSEED staffer? Come on! Of course I will reserve the right to have my thoughts hyped when and after an official announcement is made. Otherwise, yes, I would get this game. It's another Level-5 collabo, is it not? I have resolved to look out for anything Level-5 develops. Then I guess it won't be called Harvest Moon. for those who can't click it. This game and Sen no Kiseki are confirmed. Yup, the official name is "Popolocrois: A Story of Seasons Fantasy". I'm interested, but not as much as I would be in hearing about a new Rune Factory. I hope they don't think this will replace it. They kept teasing Rune Factory possibly living on after the old developer closed and then they went silent. I'd sure like to check it out, but 'western release' does not a European release make. Maybe on eShop, if we're lucky. Definitely getting this though. Even if it wasn't my bag I am a big Xseed supporter. Looks fantastic and I'm a Harvest Moon player so I'm super excited for this one. I couldn't get into Rune Factory, so I'm not sure if this is for me at this point. This looks awesome. Just the kind of niche, experimental genre-bender that we often miss out on here in the dude-bro West.